L.M. Montgomery included many references to her time in Halifax, Nova Scotia in the “Island Scrapbooks” she created. 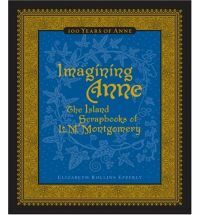 I read Elizabeth Rollins Epperly’s book Imagining Anne: The Island Scrapbooks of L.M. Montgomery not long after it was published in 2008, but when I bought my own copy on a recent trip to Prince Edward Island, I decided to reread it in light of my new interest in the Nova Scotia connections in Montgomery’s life and work. Montgomery spent a year studying English at Dalhousie University, from 1895 to 1896, and she included an image of the main building with the caption “Dalhousie College, Halifax, the doors of which are wide open to women.” She received little encouragement from her family and friends when she chose to study at Dalhousie, and she must have been pleased to know that from the time it was founded in 1818, the university had never excluded women. There are pieces of Dalhousie’s black and gold striped ribbon in two places in the Blue Scrapbook, on page 20 and tucked between pages 70 and 71, as well as a bit of ribbon on page 51 with the purple and gold colours of the Halifax Ladies’ College (and its successor, Armbrae Academy), where Montgomery boarded. The Red Scrapbook includes images of the interior and exterior of the Ladies’ College. Montgomery’s “last examination,” written on April 17, 1896, is represented in the Blue Scrapbook – among the requirements were instructions to “Write a note on the use of the chorus in Henry IV,” “Justify the introduction of the comic characters in Henry IV Pts I & II,” and “Contrast the ‘rake’s progress’ of Falstaff and Prince Hal.” Dalhousie’s Convocation was held privately that year, Epperly says, “out of respect for the death of George Munro, a chief Dalhousie donor” (whose legacy is still commemorated each year in February when the University observes the Munro Day holiday). 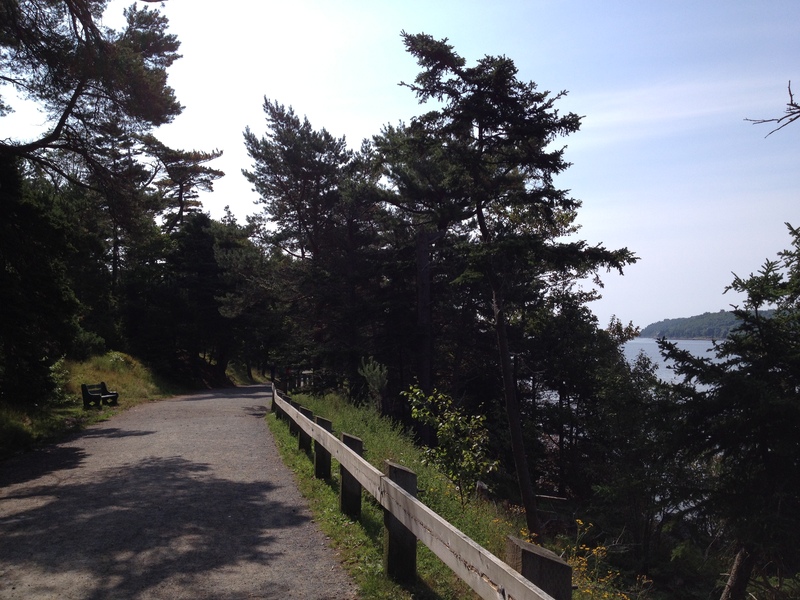 Given my own interest in Montgomery and Point Pleasant Park, I was interested to find that the Notman Studio image of “A pretty bit of scenery in Point Pleasant Park, Halifax” in the Red Scrapbook also highlights a bend in the road along the shore. Melanie J. Fishbane is writing a YA novel based on the life of L.M. Montgomery, and she recently wrote a blog post about how she created a journal inspired by Montgomery’s scrapbooks. I’ve finally put together a brand new page here on “L.M. 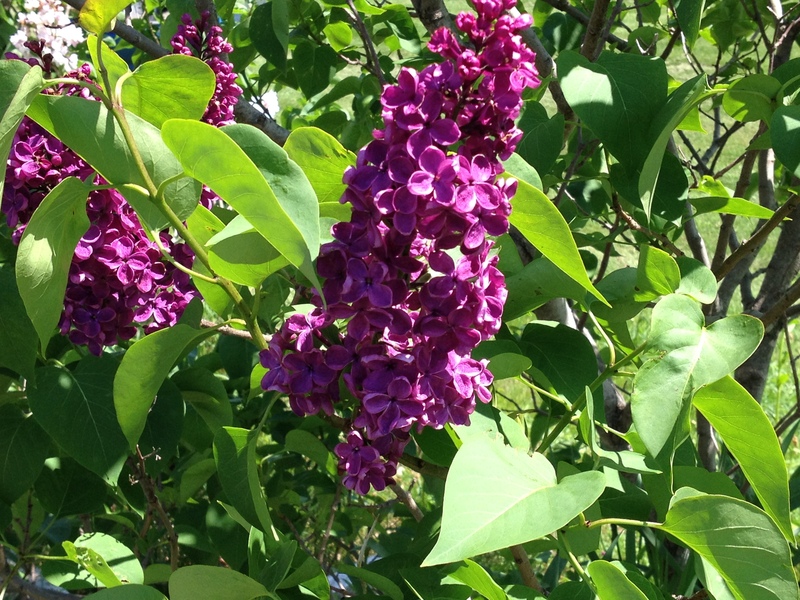 Montgomery in Nova Scotia,” which lists all my blog posts on Montgomery, along with the books and essays I’ve been reading as I explore the connections between LMM and NS. I’ve been blessed to have flown into Halifax on business several times and once with my wife. Were it not for the “9 month winters” we would probably live there ourselves! We also visited P.E.I. and Sydney on our 40th anniversary cruise. 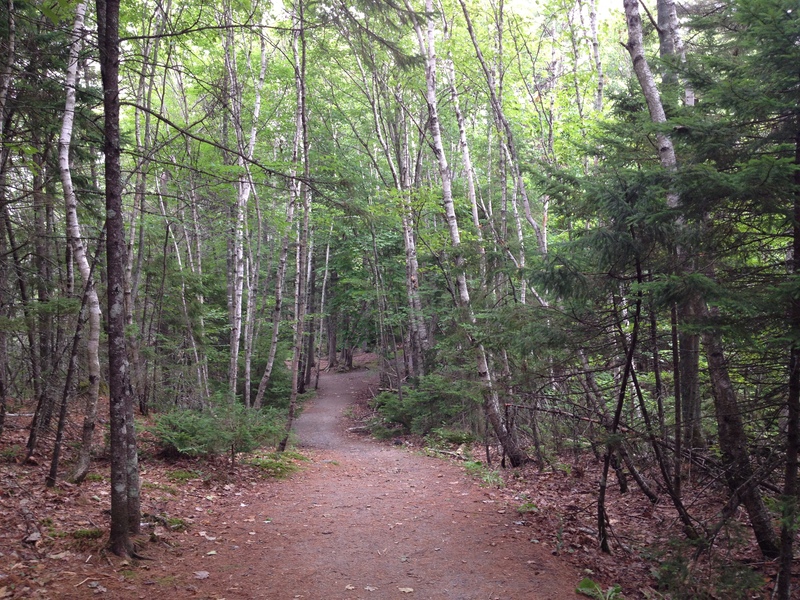 It is easy to imagine why L. M. Montgomery loved P.E.I. and although the spring weather was terrible on our visit, we were still captivated. I’ve read all of the Ann of Green Gables series from the first to Rilla of Ingleside, almost 100 of her short stories, The Story Girl, The Golden Road. The Emily series and The Blue Castle are in my sights. Aside from Jane Austen, L. M. Montgomery is my favorite historical author. 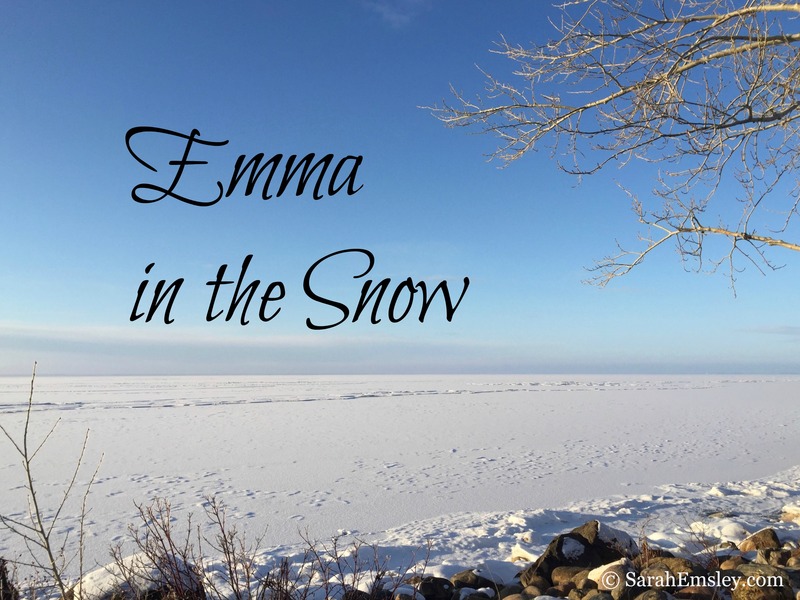 Her descriptions of the flora, fauna, and weather around her beloved P.E.I. and Halifax are incomparable in their ability to evoke the beauty and romance of the region. Her love of her homeland pours out in her writings for sure. Somebody please stop me! Not 9 months of winter! Only 7. November to May, and if we’re really lucky, November is still fall. But yes, it can be quite cold here. And in PEI, too. I hope you’ll have a chance to visit again when the weather’s better. Thanks for commenting, Jeffrey. I agree with you about LMM’s descriptions of the Maritimes. Are you reading The Blue Castle next, or the Emily books? Emily of New Moon inspired me to become a writer. I liked The Blue Castle, too — very different from all the novels set in PEI. P.S. You will need to add an “e” to that “Ann”! The Emily series will be next. L.M. Montgomery is the one author whose historical writing style meshes perfectly with my sensibilities, I’ve never read anything of hers that I did not love. 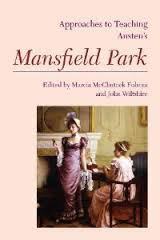 Like Jane Austen, she makes common-place, ordinary activities come vividly alive without resorting to sensationalism or extremes. I’m learning here and enjoying your blog. PS – For the record, my daughter’s middle name is spelled “Ann” and I’m not known for my attention to detail.